The concept of deconstruction in the world of high fashion is an interesting one. High fashion tends to conjure up the image of luxury - of flattering hemlines, high-quality materials and a general aura of glamour. For garments to be labelled and sold as high-end fashion, there has to be a sense that the buyer is getting value for their money, which is why it is so surprising that one of fashion's most powerful houses is based principally upon concept as opposed to commercial viability. 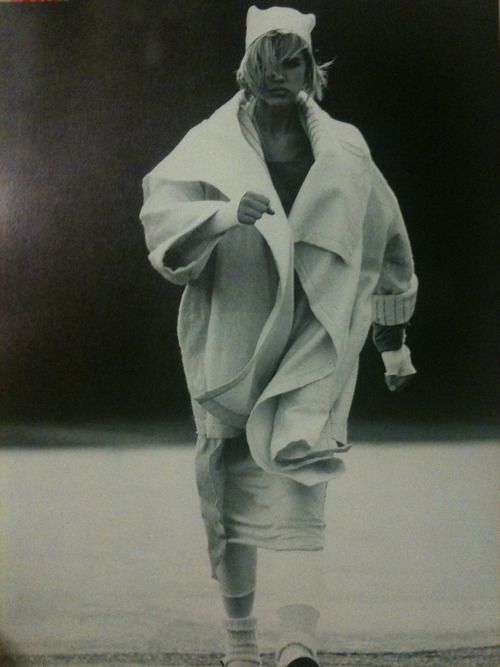 Ever since establishing her place in the fashion industry with her 'Hiroshima Chic' aesthetic, Rei Kawakubo has continued to push the boundaries of commercial clothing with her own sombre brand of beauty. 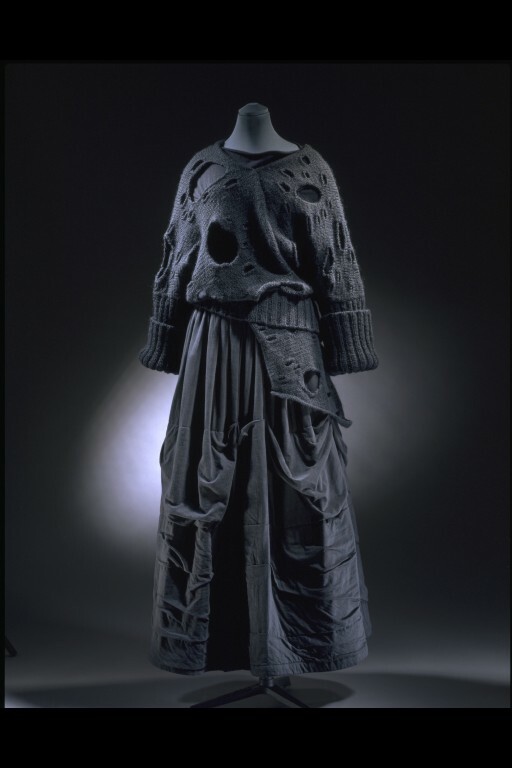 Choosing to use black for the majority of her collections immediately set her aside from her flashier peers, but it was the use of deconstruction within Comme des Garçons 'Destroy' collection that truly divided critics. Kawakubo's reluctance to sexualise the female form is hardly surprising when we consider the name of her house - Comme des Garçons, literally translated as "like the boys". Whether it be subtle commentary on the institution of marriage (White Drama collection, S/S 2012), or the attitude of women with regards to their lives in general ('Lumps' collection, A/W 1997), there has always been an undercurrent of feminism in Kawakubo's work, and it is this defiant stance against the sexualisation of women that has always set her apart from her contemporaries, to the extent that she even once stated that her clothing was designed specifically for women that 'pay no attention to their husbands'. 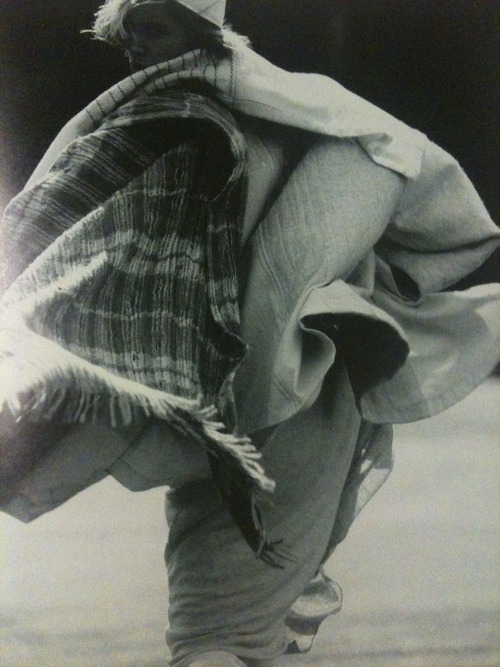 Kawakubo's introduction of deconstruction to the world of fashion was, at the time, nothing short of revolutionary - many feared that her determination to forge her own path would result in collection after collection of clothing that nobody would buy, yet thirty years later the Comme des Garçons empire now incorporates furniture, architecture as well as a hugely successful diffusion range designed with high-street powerhouse H&M. Despite criticism, Kawakubo stayed true to her vision and consequently established that high-fashion need not be synonymous with perfection.